This listing is for a digital beading PATTERN in PDF format, that will be directly downloadable through Etsy, once payment is confirmed. 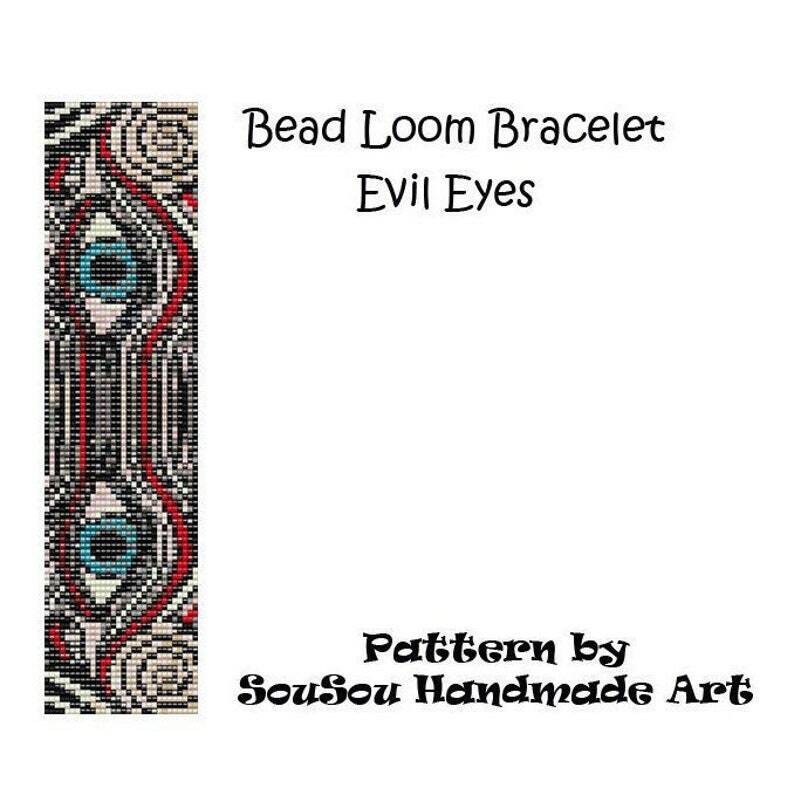 This beaded bracelet pattern features a mysterious dark print; 'Evil Eyes' in various shades of black, grey, blue, red and champagne hues. 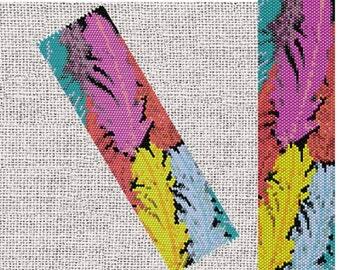 Pattern has been designed for loom bead-weaving, however it can also be used for square stitch or even in embroidery cross stitch. Miyuki Delica cylinder seed beads size 11/0 are recommended, for their high quality and uniform shape. You can use other colors or sort of beads and sizes, according to your taste, but keep in mind that this may alter the size or the appearance of the finished item. The entire digital file in PDF format, includes 12 pages. - Materials and instructions on how to do loom bead-weaving, are NOT included. - Patterns are NON-REFUNDABLE. Please read the listing's description carefully, before purchasing it. © This is a SouSou Handmade Art original design and can be used to create items for personal use ONLY. Do not publish or resell the pattern (or part of it) or copy it in any way for others. You are welcome to sell items made from this beading pattern, as long as it is not mass production. Please give me credit for the design ('Design by SouSou Handmade Art') by providing the link of my ETSY shop or by including my ETSY shop name in the description of your finished piece. I would greatly appreciate it! If you love this pattern but you are not a beader, please contact me. I can happily bead it for you! Through bead-weaving I find harmony in myself; I hope you find too! Very precise and easy-to-follow pattern !! !